2016 and the start of 2017 has been rife with an incredible range of trends and innovations that are changing the world of cycling. 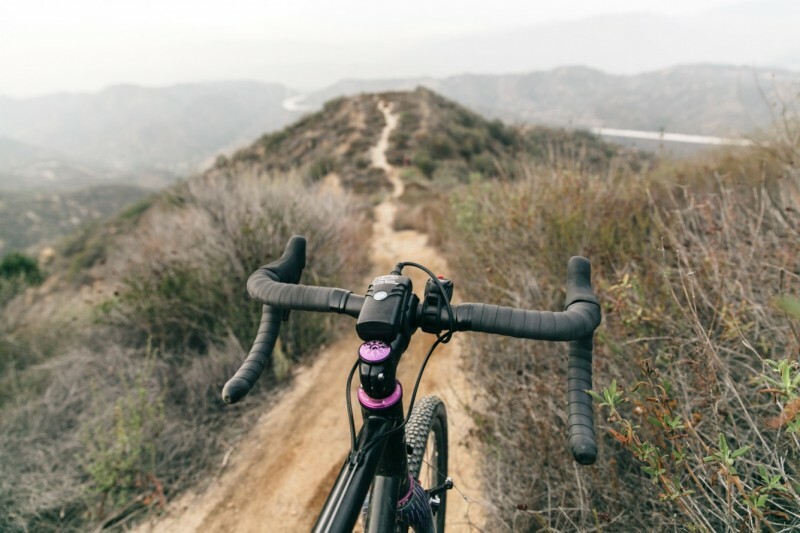 Not only is road biking as popular as ever, but mountain biking, cyclocross bikes, endurance cycles, off-terrain bikes, ultra-lightweight aerodynamic frames, are all more popular than ever. This means that the cycling population around the globe are interested in the largest pool of niche biking than ever before. These are not all of the aspects of niche biking that has really begun to become the standard, but it shows how cycling is evolving all the time based on consumer preferences, the latest trends in working out via biking, and the fact that non-road biking racers are becoming interested in cycling — even if it is mountainous terrain and off-roading. 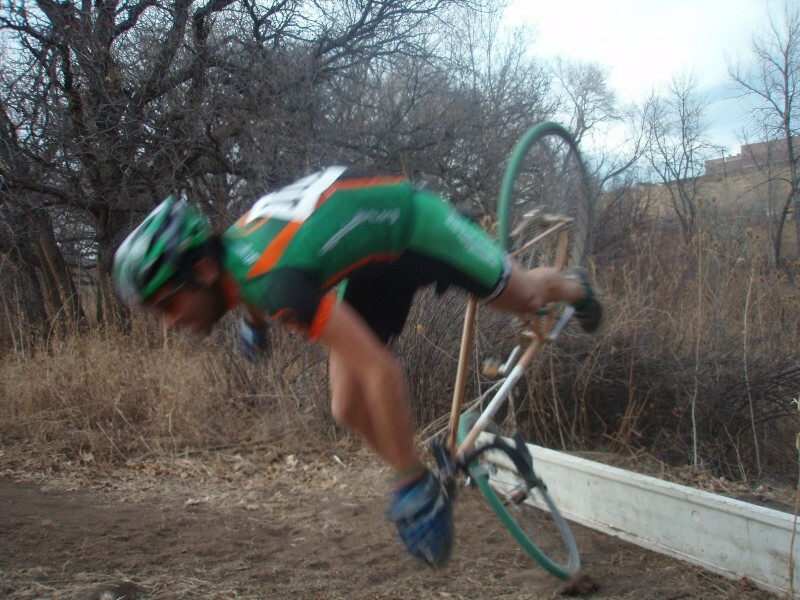 One of the most popular niche areas of cycling is cyclocrossing. Cyclocross has become a large scene in biking and is very popular in Europe and has experienced a massive boom in the U.S., U.K. and Australia. 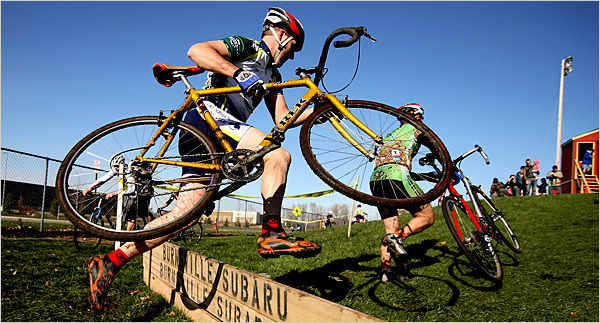 Cyclocross riding is basically a steeplechase of sorts using modified and customized road bikes on terrain with hills, rough grounds, and even through mud. This is extremely appealing to outdoors adventurers who want to have fun, have a freestyle workout that is different than racing cycles, as well as those who are typically partial to mountain biking and taking on hills. Racing and traditional road biking are the main staples of cycling — however, many riders have wanted more from their biking experiences than the single-mindedness of shaving off milliseconds, riding more and more aerodynamic frames, creating lighter-weight frames, and chasing a clock. 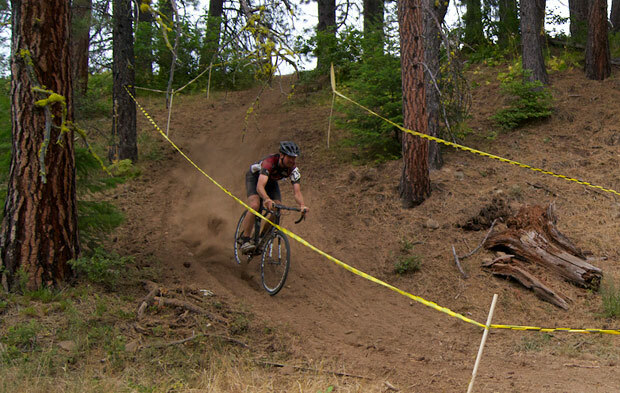 With Cyclocross, riders are getting into fitness and health — the challenge of taking one’s bike off-road and into rough terrain is exhilarating, more versatile, and an outdoor adventure that spices up the sport for them. With new wheel sizes becoming more popular (such as fat tires for off-road use), different styles of riding becoming more popular, and axle standard being announced what seems like every week, it can be difficult to keep track of the newest trends and decide what you are interested in. So, cut through the noise, focus on what it is exactly you want out of your next ride (where you plan to ride it, what components are important to you), and consider these solid reasons for making your next bike a cyclocross (CX) bike. One of the best parts of a cyclocross bike is its versatility. With knobby and fatter tires as well as rack mounts, CX bikes are becoming more advanced and being built for more than mud. Fat or knobby tires allow riders to hit the trails on pavement, gravel, mud, sand, and everything else. These bikes also make great commuters. The larger tires absorb impact well and the upright riding position is more comfortable for maneuvering (as opposed to racing bikes with low, uncomfortable positions). With a fender, rack, and pannier mounts, the ability of CX bikes to tackle a range of different terrain types makes them perfect for bikers who want some variation in their life. Take to the roads one day, commute the next, go for a ride on a rough trail, head to the woods, hit the gravel, or ride through mud and up hills — you can do it all with Cyclocross bikes. CX bikes have greater stability (due to lower bottom brackets, a more upright seat post, drop bars, and fatter tires, among other reasons). Depending on where you live, you will need a bike that you can enjoy and can weather snowy and icy terrain during the winter. While this isn’t much of an issue in some parts of the U.S. (for instance, I live in Southwest Florida — no problem there), as well as Australia, winter conditions can have a huge impact for riders in the U.K., European countries, and the Northern United States. With snow packed roads, gravel being dumped by slow plows, and black ice — that’s a disaster waiting to happen with a traditional road bike or race-ready roadie. 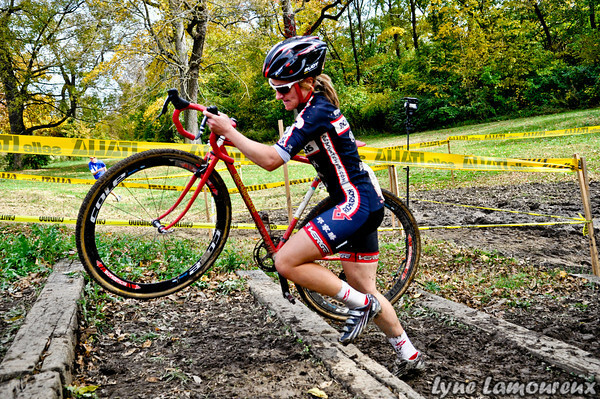 Cyclocross bikes have a longer wheelbase, which gives you a bit more stability in low traction situations such as winter conditions. Also, the top tube is slightly shorter and more upright geometrically – – this puts you in a better position to control your bike if you slip and slide. Since fatter and knobbly tires are all the rage right now, most CX bikes and road bikes are very accommodating now and are engineered to offer extra tire clearance. This means that ice, snow, and slush that comes with the winter season doesn’t have to slow you down. Honestly — They Are So Much Fun! Cross racing is so much fun — plainly put, it can be heads above the excitement of road racing — it offers variation, a different physical challenge than pavement racing, and a it’s a great way to stay fit for riders who want to go into the woods, on trails, on gravel, and off-roading.Many CX riders aren’t even road racers — they just enjoy the fun and freedom of cross racing. Winter doesn’t mean you have to put the cycle away. You don’t have to look out the window with forlorn and an inescapable desire to hit the trails. 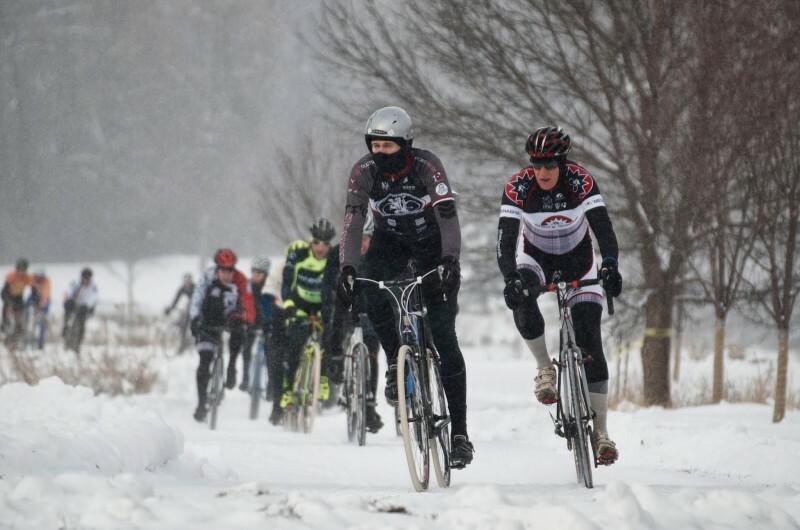 While cyclocross bikes bear a resemblance at first glance to road bikes, they are much more capable of handling winter and rough conditions. Cross racing actually started in the early 1900s as a way for European road racers to stay fit and get their cardio and exercise during the winter. Riders would race each other from town to town, but were allowed to cut through fields, fences, and take shortcuts — this is where cross racing was born — the spirit of competition during cold months where riders simply had to ride. However, Cyclocrossing is far from a winter pastime for old-time roadies — today, CX bikes are designed to handle just about everything but lack the specificity that other bike niches have. This is what makes them so great. Compared to a mountain bike, for example, a CX is less capable of going up mountainous hills. However, it has the stability, speed, and variation that can handle a number of conditions mountain bikes and road bikes can’t do on their own. If you have this amazing fire trail near your home that is super boring on a mountain bike — it can be gangbusters on some 33c knobby tires. The same goes for loose gravel or washboard roads that are beyond terrifying to ride on your road bike — on a CX, it’s no fear, no sweat, and pure joy. Becoming a better rider on cross bikes can also make you a much better rider on other niche bikes. Think about the way you ride in cyclocrossing. It’s crazy — you explore new trails and roadways, have fun, get used to biking over obstacles, learn to command hills and off-road terrain, and more. You also use muscles you never have before and learn new biking skills that you probably haven’t on a roadie or a mountain bike. Want to improve your handling skills? No better ride to it on than a CX bike. 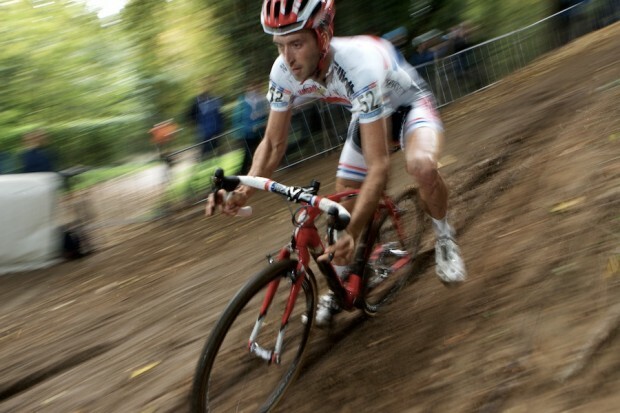 Riding a cyclocross bike will improve your riding skills, especially when you finally leave the pavement. Your roadie has skinny tires which have less grip, less surface stick to the road, and they don’t roll over roots like mountain bike tires. You really have to stay still, smooth, and work harder to maintain control of your bike. Sliding through corners, skidding on gravel, jackknifing in the mud, and other crazy stunts will help to teach you not to panic if things go a bit sideways. This helps to build confidence, develop the skills you need for other types of cycling, and maintain your composure when disaster strikes. Earlier, we mentioned how CX bikes are great for commuting, trails, gravel, muddy areas, the woods, up and down hills, as well as rough terrain. They are also the fastest growing bikes for racing as well – and for very good reason. Be it the superior stability on the road or off-road superiority, Cyclocross bikes are becoming better and better when it comes to racing. This is because, as opposed to old-school, bulky rides, CX bikes are becoming customized with lightweight and strong carbon fiber frames, incredible groupsets, hydraulic disc brakes for better stopping power, lower bottom brackets for better handling, higher seating positions for comfort and maneuverability, fat tires for more contact with the ground, drop bars for the best grip, and components that are customized for each rider’s tactical plan. 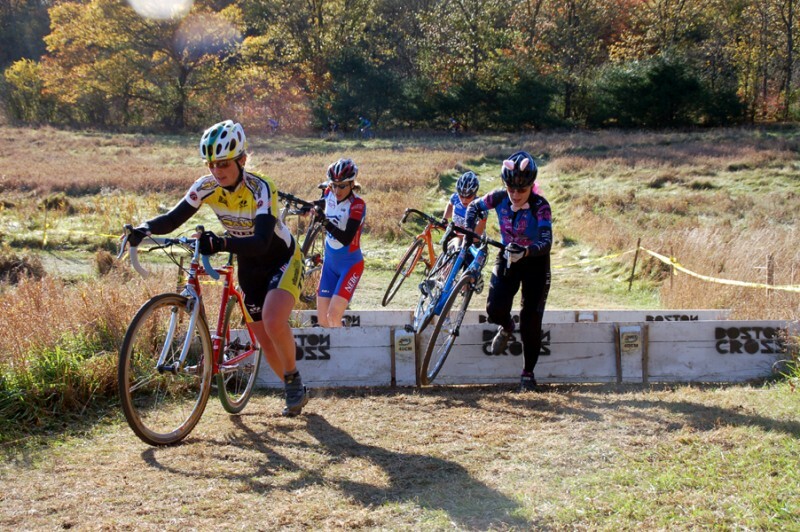 As we mentioned before, Cyclocross is a blast. If you are racing in competitions, they last around an hour, and similar to criteriums, the races are based on a time limit as opposed to a set distance. However, unlike criteriums, you are not zooming around a track in a tight bunch where any lapse in concentration will send you all into a pile of carbon with a dash of road rash. Believe me, when you crash in a Cyclocross race, you’ll likely do so with a smile. It’s awesome. As long as your bike is okay. What’s even more fun about Cyclocross racing is that they often take place in your local area and everyday suburban park on a closed course. Built to be obstacle courses for racing, these races are more than thin tires, aerodynamics, and beating time — it involves running, riding, jumping, and even crawling under obstacles. So, go ahead and give it a try — it’s unbelievable.